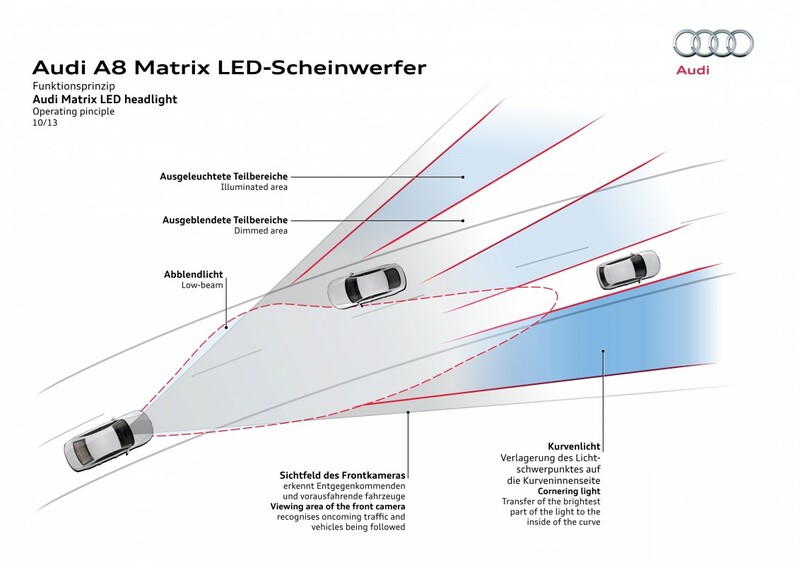 In lighting technology, Audi is driving progress at high tempo. 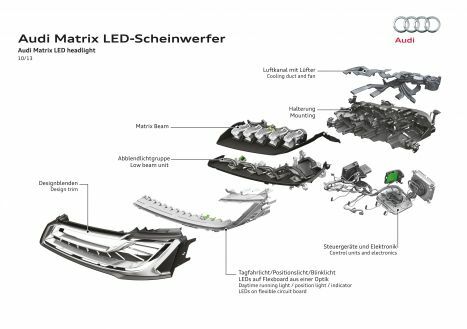 The innovative Matrix LED Headlights in the new Audi A8 (Combined fuel consumption in l/100 km: 9.1 – 5.9; Combined CO₂-emissions in g/km: 213 - 155)** make driving more composed than ever and set new benchmarks with respect to design and technology. 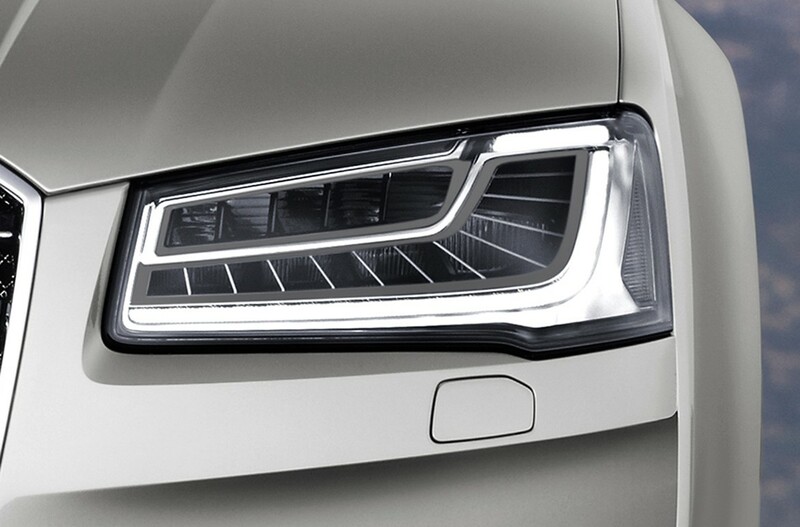 With these headlights, the high-beam unit is made up of 25 individual segments. 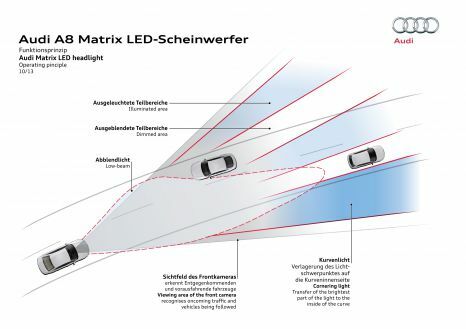 The small light-emitting diodes, which work in conjunction with lenses and reflectors connected in series, are activated and deactivated or dimmed individually according to the situation. This enables the system to react precisely to other cars, which it recognizes using a camera, and always illuminate the road brightly. Additional features of the new headlights are the intelligent cornering light, new-look daytime running lights and dynamic turn signals. 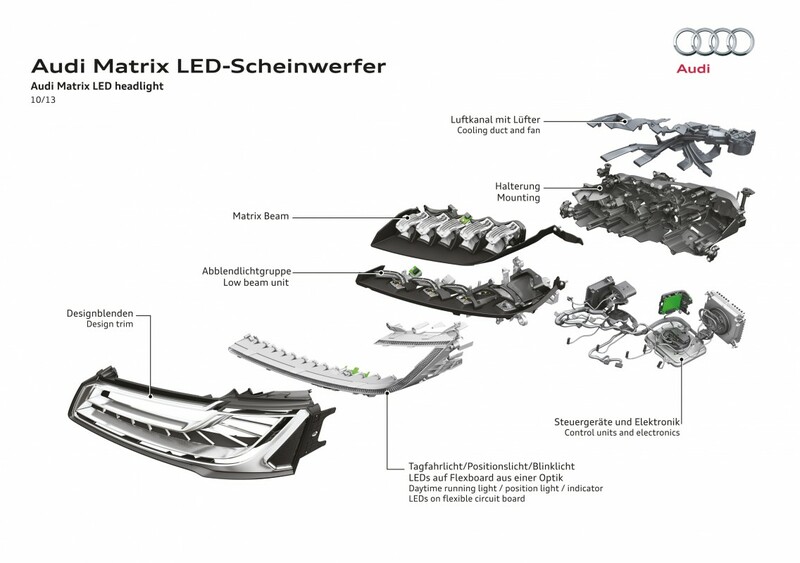 The Audi Matrix LED headlights get the information they need from a camera, the navigation system and other sensors. **Figures depend on the tires/wheels used.